Side Mount Shower Enclosure Set w/ 7-inch centered British Telephone Deck Mount Faucet. Enclosure measures 57-inches by 31-inches. 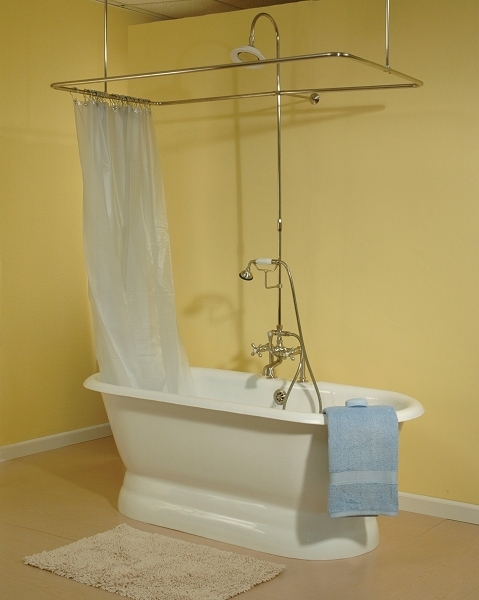 Includes mounting braces, riser and showerhead.